It happens almost every time. When a study is published linking a workplace chemical to serious disease, a scientist working for the industry disputes the findings. David Michaels, author of 'Doubt is their product', exposes industry’s dangerous tactics to protect its toxic favourites. This strategy of “manufacturing scientific uncertainty” comes directly from the tobacco industry’s playbook. In fact, many of the same scientists who manufactured doubt for the cigarette companies are now performing that same task for a wide range of other industries. How did we get here? In the 1950s, when scientists first showed that smokers had hugely increased risk of lung cancer, the cigarette companies ran a sophisticated public relations campaign to raise doubts about the increasingly definitive scientific evidence. The companies realised that if you could argue about the science, then you could avoid having to address solutions: how to help people stop smoking. But even when that didn’t work, Big Tobacco could always fall back on the argument that smoking was a choice – whatever the risk, smokers made the choice themselves, and that it was their right to do so. That all changed in the 1980s and 1990s, when studies began to demonstrate that cigarette smoke killed not just smokers but their non-smoking spouses and workers employed in smoke-filled environments. Big Tobacco spent millions of dollars employing more and smarter scientists to argue that these studies were flawed. The result was the creation of an industry of scientific consultants who specialise in “product defence,” and the recognition by corporate spin experts that manufacturing doubt works – do it well and you can stop government regulators, or at least slow them down for years. In 1969 an executive at Brown & Williamson, a cigarette maker now owned by RJ Reynolds Tobacco Company, unwisely committed to paper the perfect slogan for his industry’s disinformation campaign: “Doubt is our product since it is the best means of competing with the ‘body of fact’ that exists in the mind of the general public.” Big Tobacco has lost all respect and credibility, but the practices it perfected have proliferated. A growing trend that disingenuously demands proof over precaution in the realm of public health. In field after field, year after year, conclusions that might support regulation are always disputed. Animal data are deemed not relevant, human data not representative, and exposure data not reliable. 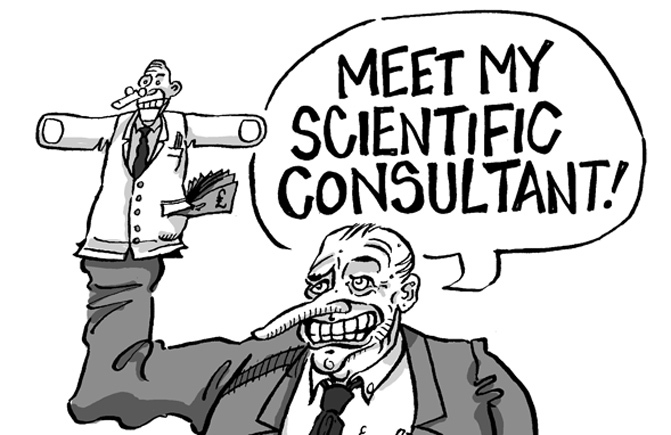 Whatever the story — workplace chemicals that cause cancer, diesel exhaust, global warming, sugar and obesity, secondhand smoke, plastics chemicals that may disrupt endocrine function — scientists in the “product defence industry” will manufacture uncertainty about it. 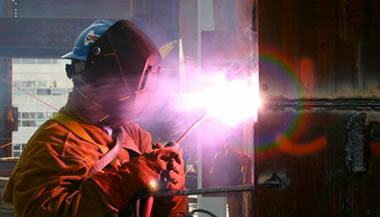 Exposure to manganese in welding fumes has long been linked to “manganism” – a serious Parkinson’s-like disease - but the association has been strongly disputed by the firms manufacturing the suspect welding rods. That includes British firms. Prominent defendants in US compensation cases are London-based Charter plc’s offshoot ESAB Group and BOC Group plc. US District Judge Kathleen O'Malley, though, had for years watched lawyers squabble over disclosure of alleged payments to researchers studying the effects of manganese on welders. Finally, in December 2007, O'Malley ordered both sides to come clean and provide a “full and complete” account of any such payments. This revealed the welding companies paid more than $12.5 million (£6.3m) to 25 organisations and 33 researchers, virtually all of whom published papers dismissing connections between welding fumes and workers’ ailments. Most of the money, $11 million (£5.5m), was spent after 2003. The industry-backed research, and especially the Danish study, came in for scathing criticism from the judge, who noted its methodological shortcomings and that industry lawyers had reviewed a pre-publication draft of the paper. The authors “continued to act in an advocacy capacity” for the industry, she said. In December 2007, a jury ordered five companies including BOC and ESAB to pay 47-year-old US welder Jeff Tamraz, $17.5 million (£8.8m) and $3 million (£1.5m) to his wife, Terry, who has seen her relationship with her husband drastically affected by his Parkinson’s. In March 2008 another US welder, Robert Jowers, won a $2.4 million (£1.2m) verdict against BOC, ESAB and a US welding rod manufacturer. Some 2,800 cases are still pending, with another 11,000 on a legal back burner. In 2007, BOC was bought out by Germany’s Linde Group. The “debate” over global warming is perhaps the most pernicious outgrowth of tobacco’s strategy. We can expect to see the scientists who last year claimed uncertainty about humans’ role in climate change now asserting that there is so much uncertainty about the public health impacts, or the technology required to reduce carbon emissions that we must undertake more research before setting new policy. I call it Denying Climate Change 2.0. While much of the media has learned to be sceptical about manufactured uncertainty in the climate debate, less public attention is trained on the pervasive use of doubt-for-hire in other industries whose products threaten the health of workers and consumers. In Doubt is their product: How industry’s assault on science threatens your health I dissect industry’s campaigns to manufacture doubt about a series of important workplace hazards, including asbestos, benzene lead, aromatic amines (dyes and rubber chemicals that cause bladder cancer), beryllium, chromium 6, diacetyl (the artificial butter flavor component that has killed or damaged the lungs of dozens of workers – Hazards 101) and ergonomic hazards. I focus largely on the US, because this country dominates the worldwide standard-setting process. When our regulators allow manufactured uncertainty to weaken or delay protections, workers across the world suffer the repercussions. I have had the opportunity to witness at close range the process of manufacturing scientific doubt. In the Clinton administration, I served as US Assistant Secretary for Environment, Safety, and Health in the Department of Energy (DOE), the chief safety officer for the nation’s nuclear weapons facilities. I ran the process through which we issued a strong new rule to reduce exposure to beryllium, a metal vital in nuclear weapons and now used in consumer products like golf clubs. Benzene is a common solvent present in many products, including gasoline. A series of studies done in China with the help of the US National Cancer Institute showed that very low levels of benzene exposure increase risk of leukemia, a type of cancer. The oil industry needed to counter the "allegations" in these studies, because the findings could lead to demands to reformulate gasoline to reduce exposures at the pump, and better control benzene emissions from refineries. So the oil companies decided to raise $22 million to conduct a series of studies in China designed to produce results that would exonerate benzene. Chromium 6 is a powerful lung carcinogen. When the US Occupational Safety and Health Administration was considering a workplace exposure standard, the chromium industry brought in some of the nation’s top product defense scientists to design a sophisticated counter attack. Secret minutes of the Chrome Coalition reveal how they planned a series of studies that could be used to slow the regulatory process. Taking a page from Big Tobacco, scientists were paid through the industry’s attorneys (rather than directly by the chromium companies), so damaging information could be hidden from the public and regulatory agencies. Beryllium causes lung disease at extremely low exposure levels, and it causes lung cancer. After leaving the government, I was able to obtain a collection of secret documents which showed that the beryllium industry has run a 30 year campaign industry attacking any study that questioned the old, out-of-date OSHA standard. Chromium 6 is another industrial chemical featured in Doubt is Their Product. For more than five decades, we have known chromium 6 is a powerful lung carcinogen. But in the US, it has never been regulated as cancer-causing. Secret minutes of the Chrome Coalition , the chromium employers’ trade association, reveal that when the US Occupational Safety and Health Administration (OSHA) was finally considering a new workplace exposure standard, the chromium industry brought in some of the nation’s top product defense scientists, to design a sophisticated counter attack. The chromium manufacturers also sponsored an important study which showed that chromium 6 caused lung cancer at levels far below the OSHA standard in effect at the time , but those results were never revealed until I discovered them. These examples are not exceptional. I report on corporate efforts to manufacture uncertainty about asbestos, lead, vinyl chloride, diacetyl, and a host of other chemicals. A major US firm that denied outright having used notorious industry spin doctors to block regulatory action on highly dangerous beryllium was lying, evidence suggests. In 2008, David Michaels and Celeste Monforton of the Project on Scientific Knowledge and Public Policy (SKAPP) published a paper, ‘Beryllium’s public relations problem: Protecting workers when there is no safe exposure level,’ criticising beryllium giant Brush Wellman for its efforts to prevent workplace safety agency OSHA and the US Department of Energy from lowering exposure limits for the highly toxic metal, linked to problems including cancer and debilitating lung and other diseases. Michaels and Monforton have made the background documents available online, and are inviting readers to draw their own conclusions. DefendingScience.org and documents relating to Brush Wellman • SKAPP case study: Beryllium - Science or public relations? Doubt is their product is filled with never before published documents, like the never-published letter from the medical director of DuPont stating that 100 per cent of the men who made beta-naphthylamine (BNA) at one factory developed bladder cancer . DuPont also produced other bladder carcinogens in that same factory; at least 450 workers at the plant developed work-related bladder cancer . One of the chemicals closely related to BNA made at that plant was ortho-toluidine (OT). Through a series of DuPont letters, reports and papers, the book demonstrates that DuPont managers witnessed this development and growth of this tragic epidemic, yet refused to acknowledge that OT could also cause bladder cancer, shipping the chemical out without proper warnings. As a result, dozens of workers exposed to OT in a plant in Niagara Falls New York, USA, have developed bladder cancer. For many years, DuPont and other manufacturers have disputed the link between OT and human bladder cancer. Earlier this year, the International Agency for Research on Cancer evaluated OT and reached the same conclusion I did, too late for the Niagara Falls workers: OT is a human bladder carcinogen. In researching this book, I uncovered a many documents like the DuPont bladder cancer ones. Some of these documents are shocking. To ensure they can be used by activists, public health practitioners and regulators, I have posted every reference in the book, with links to all of the “smoking guns,” at DefendingScience.org. Doubt is their product powerfully demonstrates that conflicted science is not good science. If a scientist is paid by a polluter or a manufacturer of dangerous products, her or his judgment is inevitably clouded by that financial relationship; this is true even for scientists who have great integrity and who try to be honest. As a result, we cannot rely on the judgment of these scientists when considering how to best protect workers from toxic exposures. Activists, unions and scientists need to demand that our government agencies rely on independent studies conducted by independent scientists, not ones bought and paid for by the producers of the hazards. The mission of health and safety activists, as well as public health and environmental agencies, is to reduce hazards before people get sick or the environment is irreparably damaged. We don’t need certainty to act. It is time to return to first principles: use the best science available, but do not demand certainty where it does not exist. A well-resourced attempt by industry lobby groups has failed in a legal bid to keep a listing of non-statutory, non-binding chemical exposure limit guides under wraps. In a May 2008 summary judgment, a federal judge in the United States District Court in Macon, Georgia dismissed the last of four counts in a lawsuit against the American Conference of Governmental Industrial Hygienists (ACGIH). The ACGIH standards considered so unpalatable by the industry lobby have been generally considered by unions to be unduly lax and overly influenced by industry. 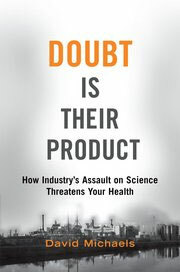 Doubt is their product: How industry's assault on science threatens your health, Oxford University Press, ISBN: 9780195300673, 2008.